Two sides who celebrated with silverware last season will go head-to-head in the Extra Preliminary Round of the big one this weekend. 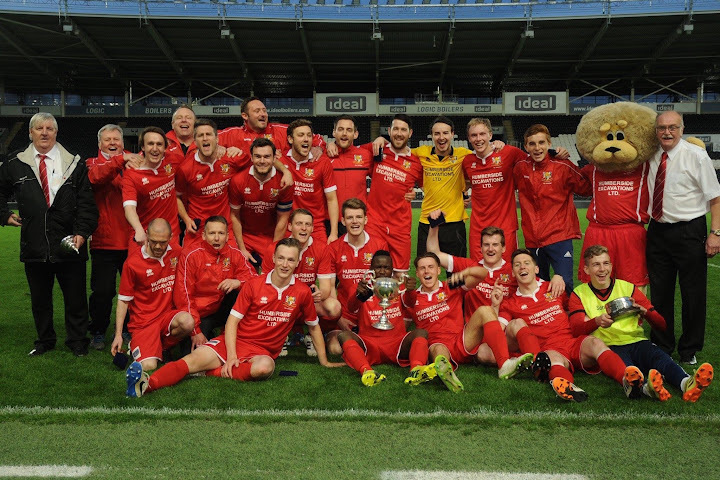 Bridlington Town, who featured on this site a year ago for a cup run which shone then faded against some of the top teams in the north east, finished the season by lifting the East Riding FA County Cup at Hull City’s KC Stadium. Having beaten Whitley Bay and Northallerton Town before losing at Newcastle Benfield in last year’s FA Cup, the Seasiders begin this year’s challenge at home to North Shields, winners of last season’s FA Vase. 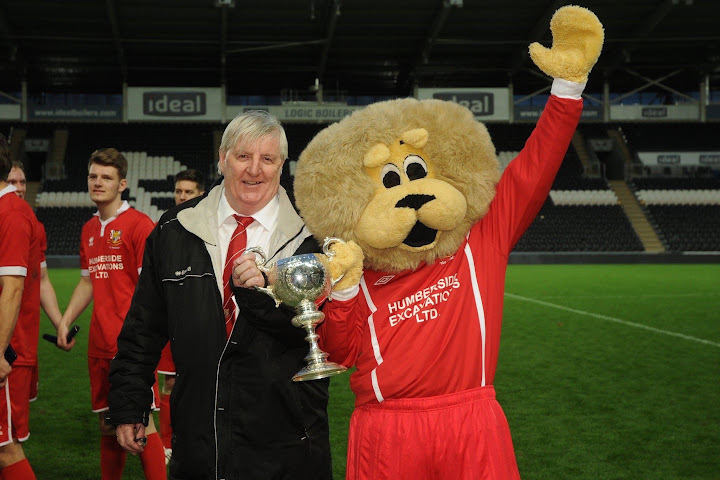 Bridlington Chairman Pete Smurthwaite predicts a tough test, and admits that it is all about the money. Like most others, his club faces constant calls for cash outlay, and this year resources are reduced somewhat as a result of Hull City’s failure to fulfil a pre-season friendly, but Pete perseveres. He said: “We could have drawn any one of around 150 teams but as usual we get another big-hitter from the north east! It’s a bit of a nightmare because they are a very strong side and it will be very difficult. That will mean more money at the turnstiles for Bridlington, but in the same way that Pete hasn’t checked the financial rewards for success on Saturday neither is he sure of the format for sharing the gate receipts. A new promotional idea this season is Pete’s “pass on the back” scheme. With season passes for under-16s routinely priced at £30, Pete introduced replica shirts for the 3–12 age group which cost £15 and allow the wearer free admission to any home game. 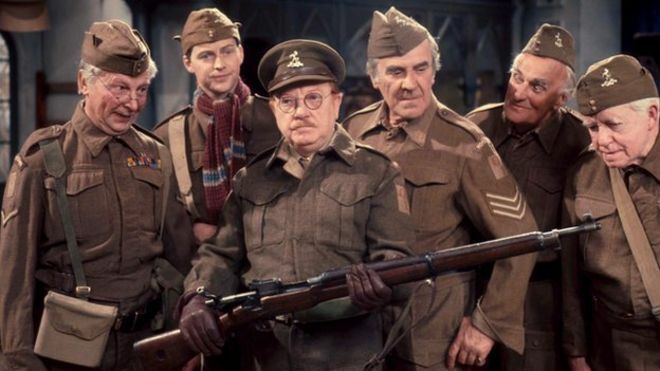 Ever resourceful, Pete also remains hopeful of attracting support from the company which descended on Bridlington to film the Dad’s Army war comedy, starring Catherine Zeta-Jones, Tom Courtenay, Michael Gambon, Bill Nighy and more and due for release next February. The Bridlington Town team is anything but Dad’s Army material. The focus is on youth and on continuity, with most of last season’s players still around and some key additions on dual registration from North Ferriby United in Vanarama North. One of those new arrivals, Lewis Clarkson, contributed a goal and an assist as Brid began their league campaign with a 2–1 win at Staveley Miners Welfare and he could be the striker capable of turning 12 draws last season into a higher win ratio this term. For a cup omen Pete only has to look back to last season, when North Shields visited the Queensgate ground in the Preliminary Round to play Bridlington’s tenants, Scarborough Athletic. After a 1–1 draw on the East Yorkshire coast the sides shared eight goals in the replay, and Scarborough then held their nerve to progress 4–2 in a shoot-out. At stake for Bridlington Town and North Shields is a Preliminary Round home tie against Kendal Town on August 29. Words: Phil Ascough whose book, ‘Never Mind The Tigers – The Ultimate Hull City Quiz Book’, is published by The History Press and available now. Images courtesy of Bridlington Town and the BBC. Phil is a Hull City fan, gaffer of our FA Cup squad and author of the forthcoming book "Never Mind The Tigers – The Ultimate Hull City Quiz Book", published September 2013 by The History Press.